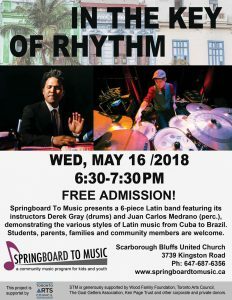 Thanks for coming out to our last student concert featuring STM instructors Derek Gray (drums) and Juan Carlos Medrano (perc. ), demonstrating the various styles of Latin music from Cuba to Brazil. We had a great turnout and everyone seems to have enjoyed this experience.